The Connectivity Suite includes four modules that can be used individually or together to slash paperwork, reduce document management effort and improve communications with your suppliers. The email module makes it easy to communicate with your suppliers as well as other SpendMap users (i.e. your staff). You can send paperless Purchase Orders, Releases and RFQs to your suppliers by email, including the documents themselves, terms and conditions pages and any type of attachments. SpendMap will obtain the supplier’s email address from the Supplier Master File and will create the email messages automatically, so documents are sent with no manual intervention whatsoever. Internally (within your company), email can also be sent to other SpendMap users. SpendMap will send automatic “email notifications” when certain events occur, such as an email to a manager to let them know that they need to approve a Requisition, an email to the requisitioner if their request was rejected, an email to the Buyer if an invoice discrepancy needs their attention, and so on. Any of SpendMap’s 100+ reports can be sent by email and you can even schedule reports to be delivered automatically. For example, you might arrive each morning to find a list of late orders in your In Box or perhaps a list of items that need to be reordered. Send Purchase Orders and other documents to your suppliers by email, including Terms and Conditions pages and any attachments. Choose from 30 automatic email notifications of critical events, which can be configured (turned on or off) by user. Ability to email reports on demand or automatically on a schedule. Supports both MAPI or SMTP protocols. Still have old school suppliers that don’t accept Purchase Orders by email or PunchOut? No problem, SpendMap has you covered. You can fax documents such as Purchase Orders, Releases and RFQs directly from SpendMap to your suppliers, eliminating the need to print hard copies, manually create fax cover pages and waste time standing by the fax machine. The system will obtain the supplier’s fax number from the Supplier Master File and will create faxes automatically, so documents are sent with no manual intervention whatsoever. The faxing features in SpendMap can help you save time by sending “paperless” orders to your suppliers that are not able to accept orders by email or online via their web sites. Auto-fax documents such as Purchase Orders, Releases and RFQs to your suppliers. Auto-fax reports to suppliers or staff, such as the Delivery Expediting Notices, Late PO Report, etc. Supports both locally-installed fax modem (ie. on PC) or server-installed fax modem (ie. shared). The PunchOut Module is used to connect SpendMap to your suppliers’ e-commerce web sites to share item catalog content and Purchase Order data over the Internet. You can shop on popular e-commerce web sites like Amazon, Staples, Dell, Grainger and Corporate Express, select items from their on-line catalogs and submit Purchase Orders electronically, all from within SpendMap. You can browse your suppliers’ on-line item catalogs to select items for Requisitions and POs, as opposed to selecting from the SpendMap internal Item Master File. This results in reduced catalog maintenance efforts on your part since the supplier is responsible for maintaining item catalog details (part list, descriptions, up-to-date pricing, etc.). This is especially important if you buy a large number of items from one or more suppliers (eg. suppliers like Staples, Dell and Corporate Express offer thousands of items). SpendMap includes XML technology to integrate directly with your suppliers’ ordering systems. Orders are placed instantaneously, on-line, resulting in faster order turnaround since the supplier does not have to manually enter the order in their system as they would if you placed the order by fax, e-mail, hard copy or verbally. In addition to reduced turnaround time, your suppliers may also pass these labor savings back to you in the way of lower prices for orders that are placed electronically. In the past, buyers had to pick between the convenience of placing orders on their suppliers’ e-commerce sites and the control and accurate record keeping of an internal procurement system. With SpendMap’s PunchOut Module, you get the best of both worlds – the control and reporting capabilities that can only come with an in-house purchasing system along with the ease-of-use and rich item catalog content of your suppliers’ on-line ordering systems. The Barcode Module simplifies consumable inventory and asset related transactions in SpendMap. Instead of manually typing in item details, you can scan barcodes when performing inventory counts and other transactions, resulting in less data entry, faster processing time and fewer errors. 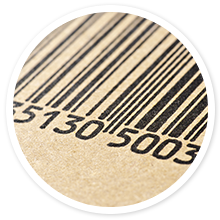 Automatically print barcode labels for your consumable inventory items and assets when they are received. Scan receipts using vendor’s UPC code. Scan inventory usages (taking items out of stock). Scan inventory tickets (physical inventory counts).